After 21 years of abstinence a Scottish team is back on the pitch on this year’s edition of the tournament. 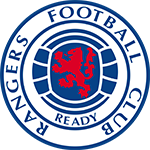 Like back in 1996 this team is called Glasgow Rangers. As one of the most popular teams in Scotland they won 54 championships over time. More than any other club. The club is working after an interesting philosophy when it comes to their youth development. Instead of playing the championship with their U-20 team on a national base they travel through Europe to play top clubs at tournaments and friendly matches. As a matter of fact, Glasgow played Bayern Munich at the beginning of this year on Munichs brand new campus and won 2:1. We are looking forward to a great performance in Stemwede as well.